For those run of the mill iPhone owners out there, the default Camera application which is part of the iOS installation generally proves to be sufficient. With the ability to toggle the flash on and off, the option of HDR-enabled snaps and an optional on-screen grid, most casual snappers find it more than adequate. However, for those who may require additional power and a more advanced feature set, the general consensus is that that the Camera+ application by the developers over at Tap Tap Tap is one of the best around. With an advanced array of features and editing abilities, Camera+ has proved to be extremely successful since launch and has today been updated to version 3, which comprises one of the largest updates yet. Version 3 brings multiple enhancements with some being minimal such as the changes to the application icon, while others are more notable. Version 3 now offers dramatically improved sharing features which includes the ability to share images to multiple social services such as Facebook, Twitter and Flickr. The sharing function also hooks directly with the saved Twitter accounts which are set through the Settings options on iOS 5 and above. Tap Tap Tap have also added the ability to import multiple photos into the application at once, directly from the photo library as well as fine tuning the import panel. 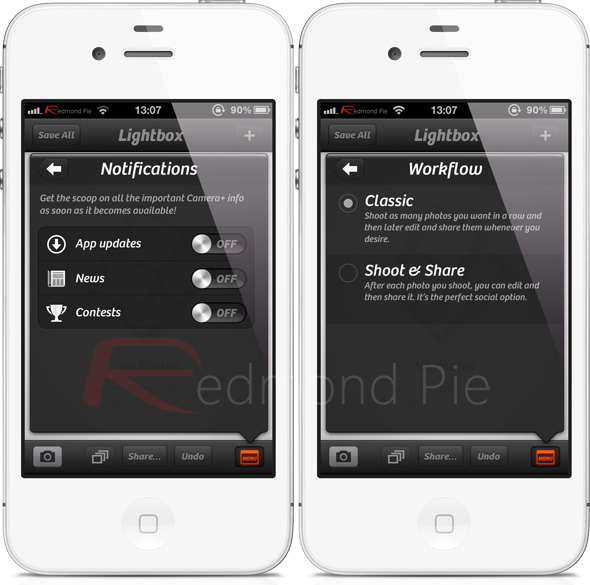 Workflows have been included in this build, allowing users to choose between shooting multiple pictures in a row or taking just one image and the focusing on editing or sharing the photograph. Focus and exposure locks can now be activated, entirely independent of each other, offering more advanced photographers additional flexibility. One of the largest additions, and something which will appeal to iOS developers is the addition of official Camera+ APIs. The development team have created a set of programming interfaces which will allow developers to include Camera+ into their own applications and create web services which use shared user photographs. 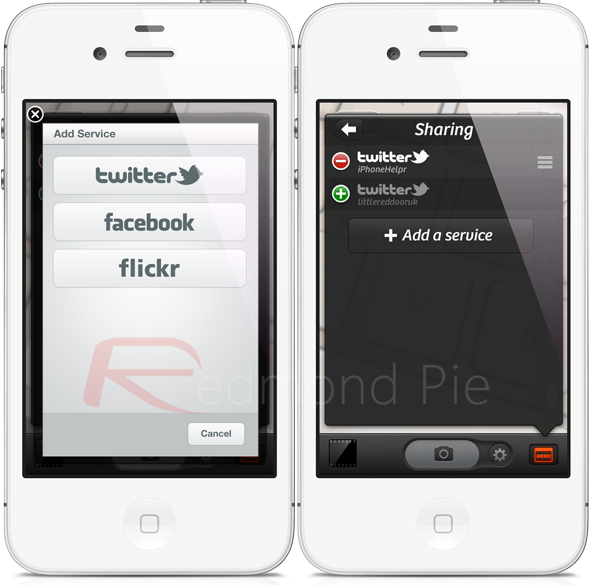 Applications such as WordPress, Tweetbot and Foodspotting have already taken advantage of the new provided APIs. The user experience and user interface aspects of Camera+ have been improved through an updated Lightbox UI. The changes are designed to make that section of the application a lot more accessible and usable in the hope that it improves the overall application experience. Camera+ version 3 also comes with the obligatory bug fixes and minor enhancements which will probably never be noticed by the average user, but all add to a dramatic improvement to an already fantastic photography application. 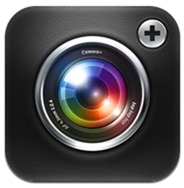 Camera+ version 3 should be showing up in the App Store as an available update for those who already own the app, or can be downloaded for $0.99 for those who wish to give it a try.